As a photographer it's often said that the best camera you have is the one you have with you. So by that mantra we've got no complaints about cell phone imaging. Not to mention the high quality images produced by such camera lines such as the Apple iPhone, Nokia Lumina, and Samsung Galaxy make it a little easier. Phone companies seem hell-bent on making consumers believe their cell phone camera can rival a DSLR. After all, if an iPhone photo looks good on a billboard that takes up more square footage than a Manhattan apartment, why would you ever need an expensive bulky DSLR? For as long as the 'slim' design sticks for cell phones, their cameras will never match DSLR quality by conventional photography methods simply due to sensor size and optics. Though with phones like the recently announced large sensor Panasonic Lumix DMC-CM1, we are getting a lot closer. While we're always looking forward to our next cell phone upgrade, it's easy to forget the numerous rudimentary cell phone cameras we've since discarded. In 2007 we saw the first cell phone cameras emerging capable of capturing video, and it was just 6 years earlier that the world was introduced to the first ever cell phone camera. BBC News posted an article about its release in September 2001, with the opening line of the article reading : "The Japanese are crazy about taking miniature pictures of themselves." - referring to the small screen size presumably. The BBC encouraged readers to leave their opinions in the comments section and boy did they. 14 years later the comments are pure gold. Enjoy. 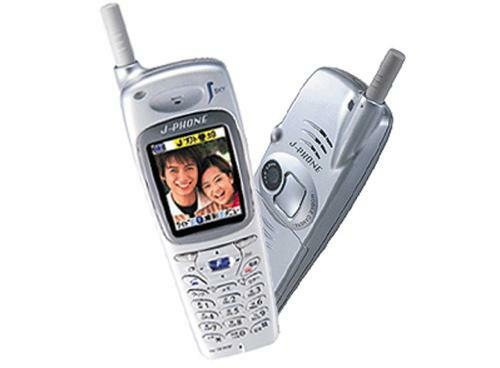 * Technically the first cell phone camera was the Samsung SCH-V200 in the year 2000, but it is not regarded as the first because it could not send the images over a cell signal.